Anybody finding any? I walked a field edge last weekend and didn't find any yet. Found these 2 small sheds the last weekend in January. Nice. Looks the critters chewed one a bit. 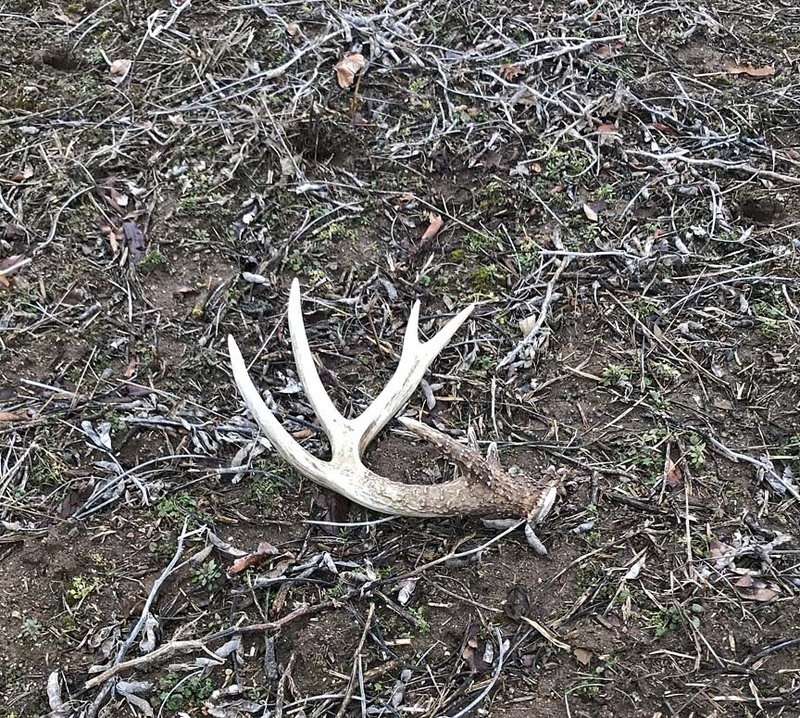 Only shed found to date at the farm is a five point picked up the weekend before Christmas. Pulled the last of our stands this past Saturday. Had five bucks walk under one of stands while I was in it. Four were still carrying both sides....the 5th had dropped both sides. Sounds like '19 will be a good one for you PAV! I've seen 2 so far with both sides shed. Most other bucks here are still carrying them. Spotted this shed on Monday laying out in the middle of a picked bean field. Got two trail cam pictures of this buck in August, but hadn't seen him since. The H1 circumference is 6-0/8.